The LEKI Smart Carbon convinces by the well-thought out Smart Tip, the innovative Trigger Shark 2.0 system, and the ultra-light and stif tubes made of 100% carbon. 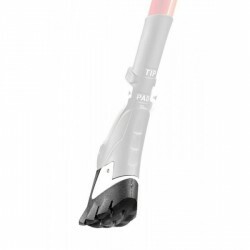 The LEKI Smart Carbon is equipped with the Smart Tip. 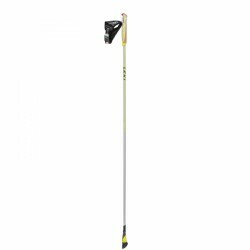 The Leki Smart Tip integrates a hard metal tip in the asphalt pad, which can be pulled out, if required, by an easy-to-use folding mechanism. Thus, the pole is perfect for walkers, who often change between asphalt and terrain. Thanks to the Smart Tip, the disk is no longer necessary. Due to the innovative Trigger Shark 2.0 system, the Shark Active Strap can be quickly and easily loosened and fixed on the pole. The comfortable cut of the strap allows a direct and narrow contact to the handle. The best power transmission is guaranteed by a larger surface (approx. 40%). In addition, the Shark Active strap is breathable. Poles light and stiff, and produce very little vibration when walking. On complaint would be the tip does not stick out far enough under the pad to provide the same grip as the original tip. 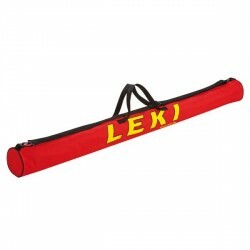 Leki Nordic Walking pole bag Trainer In stock! Leki padded pole bag In stock! LEKI Smart Tip In stock!